Here we go, let’s have an in-depth look at the Best Milling Machine for a Home Shop. We review several great milling machines for you to consider. A milling machine or lathe in your home shop will proudly tell the world that you are no average DIY guy. With a milling machine (or lathe) you can produce any shape using virtually any material with the precision of an engineering shop. You might be new to these machines, embarking on your first step toward becoming a fully accomplished amateur engineer. At first, your decision may be clouded by confusion, so we’ve come up with a great selection of the best milling machines for the home shop. Though, before I begin with a review of both milling machines and lathes that are perfect for the home enthusiast, I think it would be a good idea to describe these machines, offering some insight to what they’re all about. This should help newbies gain more understanding and be better equipped to make an informed decision. Difference between a milling machine and a lathe? Both milling machines and lathes are used to cut small layers off a piece of material with great accuracy. Before the invention of the CNC (Computer Numeric Control) machine, the only way to machine complex shapes was by means of a milling machine or lathe. Known as machining, lathes and milling machines use various shaped cutting tools to shape the material. The difference between the two will determines what type of work you can do. A milling machine holds the piece of material in a stationary position. You then use rotary tools to shape the material, this process is known as milling. Milling has few limitations and allows the user to cut any geometrical shape. You’re able to cut rounded shapes, flat, or stepped shapes that can be asymmetrical. Lathes use a process known as turning. This means that the workpiece rotates and cutting tools are used to cut into it as it orbits. With a lathe, you’re only able to cut symmetrical shapes around the central orbit. If you look at a chess piece or ornate table leg, everything is rounded at an equal distance from the center, this is the result that you get from a lathe. For versatility, a milling machine is the best tool to use. It allows you to create any type of shape. Though the process can be complicated, depending on the complexity of your design. A lathe is much easier to use and to learn, but you are limited by the symmetry of your design. After reviewing the best milling machines for home shops, I’ll provide some valuable tips on choosing the best milling machine for first-time buyers. For those who have a good idea of what to look for, let’s dive straight into the product review. Because a home shop has limited space, many might prefer a combination machine. One tool that fulfills several purposes. Others may prefer only a milling machine that is both affordable and will allow you to work with the greatest accuracy Among the selected machines, you’ll find a great variety with features and specs to meet the needs of any home or small commercial shop. Mill/Drill. — 115/230V. An easy-to-read internal depth gauge and work-lamp. Stand not included (Jet 350045). Generously sized worktable — efficient and precise. Includes : JMD-18 Mill Drill Machine, one work-lamp, adjustable carbide face-mill, drill press angle vise, 1/2-inch drill chuck, chuck arbor, and draw bar. Stand sold separately (Jet 350045). ✓ View or download the MANUAL for the Jet JMD-18. Its size and versatility make the Jet JMD-18 350018 a perfect fit for a home shop. By combining the operation of a belt driven benchtop drill with a dual coordinate milling table, you get a drill, milling machine combo that is light and compact enough for a small shop, whilst offering you the full plethora of milling capabilities. A weight of 600-pounds may appear heavy to those who aren’t used to full-size milling machines. It is, in fact quite light for this type of tool. At the same time, it has the weight and stability needed for medium-duty milling. The table measures 9½” X 32¼” and can support a weight of 400 LBS. It has a longitudinal travel of 20½”. This gives you the ability to mill pieces of a good size for a machine this compact. The 2HP, 230V single phase motor provides an excellent level of power, more than I’d ordinarily expect to find on this caliber of milling machine. You are able to select from 12 different spindle speeds between 150 and 3000 RPM. This gives you the ability to work slowly with perfect accuracy or move at a really good pace when needed. Changing speed is made simpler by using a hinged belt cover, there’s no need to loosen screws each time you want to change your belt configuration. The R-8 taper spindle is supported by a cast iron column with heavy-duty tapered roller bearings. This makes for better tolerances and an incredibly precise drilling depth. The head can swivel a full 360° with a 15⁷⁄₈” swing. It has a 3” face mill capacity, ¾” end mill capacity and a 1¼” drilling capacity. The spindle travel is 5”, with a maximum distance to the table of 18”. The jet JMD-18 has 4 X ⁵⁄₈” T-slots with 1¹³⁄₁₆” centers. The quill diameter is 3”. All these specs are a clear indication that the Jet JMD-18 is a very competent machine, both as a drill and a milling machine. They’ve made it very user friendly with a goose-neck style work lamp and satin finish dials that are easy to read. The internal depth gauge is also easy to read. The adjustment wheels at either side, and at the front of the machine are conveniently placed and are made from great quality metals. You have the convenience of a heavy-duty power down feed with manually operated fine feed. It also has forward and reverse switches. Safety is well taken care of with a positive quick-stop knob and a transparent chuck guard to protect you from shards of metal filings. While no one can expect a quality milling machine to be cheap, the Jet JMD-18 350018 is very reasonably priced. Its affordability, size, and versatility make it an excellent solution for a workshop with limited space. It is as accurate as the best in this class, with great features. The Jet brand is associated with quality in both the professional and DIY market and this machine is backed by a 2-year warranty. Work Table Weight Capacity : 400 Lbs. Metal Lathe/Milling Machine. For the home hobbyist to the seasoned machinist. One of the Best Milling Machines for your Home Shop. An excellent machine for your home shop. Can’t decide between a lathe and a milling machine? Then the Grizzly G40157 is going to win you over. It combines a lathe with a milling machine and drill press. This allows you to have a bunch of useful tools in one relatively compact unit. It also comes at a price that makes it incredibly attractive. You end up with a lot of machinery for your money. With a ¾ HP electric motor, the Grizzly G4015Z cannot compare to the Jet JMD-18 in terms of power. Though, for the home shop, this lower power spec comes with an advantage in that it plugs directly into a regular 120V outlet, you don’t need a 240V supply and it comes fitted with a 6’ power cord. You’ll need a 15A circuit to cope with high capacitor start up. Even though the Grizzly doesn’t have that much power and may not allow you to work as quickly when using hard metals, it has a good specification level and is an accurate and easy to use machine. Like the Jet, it has a very well-made drill press that doubles as a milling machine with a spindle lock. It has a precision engineered, hardened cast iron bed. The headstock, body and frame are also cast iron with steel end gears. Grizzly have made several improvements with this model when compared to their previous mill and lathe combo. This model has a reverse switch and a longer bed. They’ve increased the number of change gears and included a great 4” 3-jaw chuck. As a lathe, it is more than capable of most light to medium-duty turning jobs. The swing over bed measurement is 16½”, over saddle is 11½”. You have a very good working capacity for a compact machine, the distance between centers is 19³⁄₁₆”, compound travel is 3”, carriage travel 13” and the cross slide travel is 4½”. The spindle bore is 0.787” with an MT#3 taper. You have 7 spindle speeds, ranging from 185 RPM to a maximum speed of 1455 RPM. The tailstock taper is also MT#3 and has a 1½” quill travel, with a ½” offset. There’s a total of 8 longitudinal feeds ranging from 0.002 – 0.0069 in/rev. You’re able to cut 27 different inch threads (8 – 120 TPI), it also handles metric threads, with 18 options (0.2 – 3MM). The mill uses an MT#3 taper with a 3½” spindle travel and 12” swing. The distance from the spindle to the work table is 12” (10” to the bed). From spindle to vise, the distance is 8¼” and 9¾” to the center line. The mill head has a vertical travel of 3”. It can accommodate tool bits up to ½” with a ½” maximum drilling capacity for both cast iron and steel. The grizzly only has 2 T-slots, measuring ⁷⁄₁₆” (centers – 3.54”). It has a good 10¾” drawbar (3¹⁄₈” diameter with 16 TPI) and 14 speed settings for drill or mill (117 – 1300 RPM). Although somewhat limited in its working capacity, the Grizzly G4015Z is a perfectly competent mill and lathe combo. It may not have the power or the table size to match many others, but is wonderfully compact and weighs a very reasonable 440 LBS. I’d think that for beginners who want to get the hang of milling and turning this is an excellent place to start. In fact, anyone who doesn’t need to machine large pieces of material and don’t need the power of a larger mill or lathe, this could be an excellent choice. For an all-in-one home engineering tool, it is very affordable and comes with a 1-year warranty. With that said, I doubt the more serious machinist will appreciate this tool. As a lathe, it works quite well, but is slightly lacking as a milling machine and professionals would probably prefer two separate machines that are more purpose built. Motor size (single phase 110V): 3/4 H.P. Shipping weight approximate: 475 lbs. Functional compact design optimizes your workspace for productivity. Digital read out for accurate cutting speed. 110V 1HP motor that allows you to operate anywhere there is a standard outlet. One motor for the lathe and mill independently for longer life and less wear and tear on the motors. Three jaw chuck, and four jaw chuck are just a few of the options that come standard. Head itself features a column style base with adjustable depth. A robust MT-2 taper is also standard of the MLD-1030. If you’re looking for a combination milling machine, lathe and drill with an industrial build quality and a high level of functionality on all levels, it’s a good idea to pay extra for the Baileigh MLD-1030. While the Grizzly G4015Z that we’ve just reviewed is a very affordable option for this type of combo machine, the more discerning buyer will very likely want more from this type of combination machine, especially when it comes to better milling capabilities. This is where the Baileigh MLD-1030 makes a big difference. 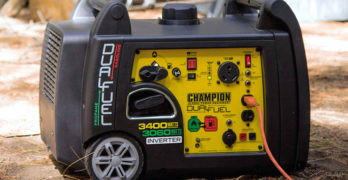 This is also a 120V machine, so it has the convenience of running on standard household power. Compared to the Grizzly, the Baileigh has 25% more power with two very competent 1 HP electric motors. It uses separate 1HP motors, one for the lathe and drill and one for the milling machine. This extra power, combined with a higher spec level and nothing short of superb engineering, make Baileigh a much more professional grade combination milling machine, lathe and drill. It’s not a benchtop machine, like the previous two models in this review. Although the Jet JMD-18 has the option of a stand (the Grizzly does not). This means that you need some extra floor space to accommodate the free-standing Baileigh, which isn’t a big deal. What you lose in floor space, you make up for in benchtop space. The Baileigh MLD-1030 requires a footprint of roughly 60” in length and 30” in width, standing 40” from the floor. It weighs in excess of 400-pounds, so you won’t easily be moving it once installed. There is plenty of useful storage space in the two upright sections that form the base of the machine, which makes good usage of the limited space that you’re likely to experience in a home shop. The Baileigh is packed with features that make it very easy to use and aids to improve accuracy. I like the accurate digital displays for both milling and lathe operations. All the markings are clear, easy to read and include both metric and inches for easy conversion of measurements. A fully comprehensive information chart (in both inches and millimeters) and diagrams for belt / gear configurations are on the front of the machine. It has a dial to help you obtain the perfect RPM setting very easily and all the controls and displays are perfectly positioned at eye level, on the machine head and to the left hand side of the machine. I absolutely love the ease with which you can work with this machine, not to mention incredible accuracy and good tolerances. If we’re looking at both the milling and lathe specs, these are pretty great for a compact combination machine. Speed is variable from as low as 50 RPM up to a maximum of 2500RPM. This should be sufficient for any task you’d want to undertake with a 1HP machine of this size. Longitudinal feed (per Rev) is 0.003” to 0.008”. Your range for metric threads is 0.4 – 3.5 MM and 8 – 56 TPI for inches. The spindle bore is 1.1” and taper is R8. The taper for both the spindle bore and tailstock quill is MP#2. Top slide travel is 2”, as is the spindle stroke and tailstock quill travel. You have 9.75” swing over bed, 5.7” swing over cross slide and cross slide travel of 4.5”. You also have a really good 28.5” distance between centers. The maximum distance from the spindle to the column is 6.5” and 8.375” to the table. For a compact drill, milling machine and lathe combo, the Baileigh MLD-1030 would be my first choice. It’s certainly the best combo machine in this review and, unsurprisingly, the most expensive. But for an excellently made machine with a very high spec level, I’m sure many will feel this price to be well justified. 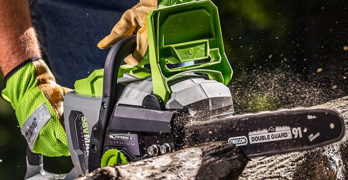 It has everything you’d want from an industrial-grade milling machine and lathe, making it arguably the best combination lathe and milling machine for a home shop in the opinions of many in the know. You’ve got to love this machine, albeit a bit on the expensive side. Vertical Milling Machine with X-Axis Powerfeed. One of the best vertical milling machines for your home shop. Internally cooled spindle head prevents seizing. For the ultimate milling machine to be used in a home shop, you won’t easily find better than the Jet 690006 JTM-2. This is not a combo machine it is a milling machine par excellence, comparable to any you’d find in a professional engineering shop. It also comes at a price that one would expect to pay for one of the best industrial milling machines, meaning that it is nowhere nearly as cheap as any of the others in this review. Yet it’s compact enough for a home shop. I’m sure many casual users or hobbyists might find the price to be exorbitant. On the other hand, those few who want a professional milling machine, even for a home shop, could find it worthwhile spending the extra cash. At a glance, you can easily determine that the Jet 690006 JTM-2 is in a completely different league to the other home shop milling machines. It’s bigger than the others, though only slightly – measuring 57” in length, 64” in width and stands a mighty 82” tall. It weighs a hefty 2200 LBS. It’s the type of machine you’d expect to see in a professional engineering shop and is as robust and precise as the best of them. The powerful 2HP motor is up to any milling task. It is pre-wired for a 230V (single phase) power supply, but can also be reconfigured to operate on 115V. This should come as great news for many home users. The heavy-duty splined motor drive ensures that it won’t fail under tough working conditions. Multiple (and very accurate) head movement settings are the first indication that this milling machine is designed to be a professional-grade machine. The head can be moved 90° to the left or right, and 45° to the front or back. On the X-Axis, it has a three-stage power feed with automatic stop. The Jet JTM-2 is built for ultimate durability, using Meehanite castings and class 7 spindle bearings. The spindle head has internal cooling to prevent seizing when you work the machine hard. It also has the added convenience of a built-in coolant tank, making it easy to keep your tool bits in perfect condition. Though you’ll need to buy the pump for the automatic cooling system separately. As one would expect from a milling machine in this price range, everything is machined to perfection, leaving no margin for error. The table allows for a fairly large working capability, more than one would expect from a home shop milling machine. With a width of 42”, length of 9”, and a weight-bearing capacity of 550 LBS, it is certainly not your average mid-sized milling machine. The table has 3 X ⁵⁄₈” T-slots (2½” centers). The, larger than average, quill is 3³⁄₈” in diameter and is chromed for added durability. Quill down feed rates are 0.0015 – 0.003 – 0.006 IPR (Inches per Rev). The R-8 spindle has 8 speed settings from 80 – 2720 RPM. Spindle travel is 5”, with a maximum of 17½” distance to the table and 19” to the column (4½” minimum column distance). Collet capacity is ⅛” – ⁷⁄₈”. The longitudinal table travel is 23⁷⁄₈”. Using the power feed, this is reduced to 20²⁄₇”. You have cross table travel of 12½”, knee travel of 14½”, and the RAM travel is 13³⁄₈”. Other features that are certain to impress those in the know are the one-piece pinion and shaft, as well as a heavy-duty spindle brake. Of course it includes a draw bar and way covers, along with a quality toolbox. There’s no doubt that you’re getting the best of the best in the quality and precision engineering that has gone into making this exquisite milling machine. The Jet JTM-2 way exceeds anything I’d expect from a milling machine to be used in a home shop. If you’re looking for a simple machine for producing ornate pieces, I’d think that this milling machine is far more than you’d ever need. It’s likely that many home users would find the extra features and extreme quality to be more than they’d be prepared to pay for. For those rare individuals, especially motorcycle and automobile customization nuts, this milling machine will certainly make you the envy of your motoring club. You will, with the right amount of skill, be able to make precision parts that can meet the standard of world-class engineering. Along with the Jet reputation for excellence, the JM-2 comes with their great 2-year warranty. If you’re buying a milling machine for the first time, here are some handy tips on what to look for. First off, you need to carefully consider what type of work you intend doing with your milling machine. The materials you want to use will be of some importance. 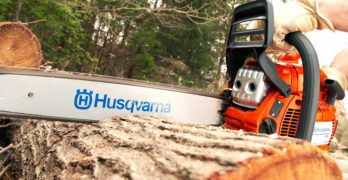 Working with wood and aluminum requires more speed which also means lower torque. If you’re cutting iron or steel, you want a lower speed and more torque. Your torque and speed ratio will always be that of lower speed with higher torque and vice versa. It’s the gearing of the pulleys that reduces or increases the speed and, thereby, having the opposite effect on the torque. As with any machine, we want the best power possible. Though we need to keep this within reason. A more powerful milling machine will use more electricity, cost more, and will probably require a 240V supply – this could be single or 3-phase. Though even a milling machine with a smaller motor can suffice, you can always increase your torque by lowering your speed and come to a reasonable compromise when using a slightly underpowered machine. Having the greatest amount of speed settings with a wide variation is likely to be more important than the actual power of the machine. A lot of newbies are easily confused by the milling machine’s orientation – is it a vertical or horizontal machine? For a home shop, a vertical milling machine is the best. These machines have a table that’s perpendicular (at a 90° angle) to the spindle when it’s in the zero position. On a horizontal milling machine, the spindle is parallel to the table. While this gives the milling machine exceptional rigidity and strength, it limits the versatility of the machine. A horizontal milling machine is the best for large-scale manufacturing as they can cut a lot more material with one pass and you’re able to stack multiple cutting tools onto the spindle. The downside is that you can’t alter the angle between the spindle and the table, like you can with a vertical milling machine. This means that more complicated tasks have to be done in various stages, by repositioning the material for every cut. Some, more intricate tasks, are impossible with a horizontal milling machine. So, if you’re churning out hundreds of heavy pieces and want to be fast and efficient, a horizontal machine is the way to go. You can cut all the pieces with one setting, pass them through and then reposition everything for another angle. If you’re going to be doing custom work, with lots of variations, you’ll definitely be better off with vertical milling machine. The only downside is that the column isn’t as sturdy and this means that you can’t do very heavy-duty work. This just means taking a little longer, removing a smaller layer of material with every pass. In many cases, this won’t even be a disadvantage. A purpose-built milling machine is going to be far more accurate than any of the combination machines. The simplest of these will be a drill press and milling machine combo. Basically this is a drill press that can work on two axis. So instead of just being able work up and down, for drilling holes, you’re able to cut into the piece at various angles. This is done by changing the angle of the table. Most true milling machines have a head that can be angled and allow the spindle to be positioned very accurately. Combination milling machines, drills and lathes are very versatile. These are ideal for home shops with limited space. It’s obviously more convenient to have one machine that performs multiple tasks. For the hobbyist, who isn’t manufacturing intricate parts with precisely engineered tolerances, combination machines are great. If you intend cutting fine gears, spline shafts and other mechanical components, I’d recommend buying a higher precision machine, built specifically for milling. Parts like collets, chucks and vices are important components to a milling machine. You want to buy a machine that has good quality components. But remember that all these parts are sold as aftermarket items, so you can always add or upgrade as you need to. Your table is one of the most important aspects to consider. It must be well machined and T-slots (grooves in the base of the table) can be a great aid. Having many T-slots can be a big advantage. Adjusting the table is usually easy and is done using turn wheels. You want to be sure that these are quality items that function accurately. Good measurement and angle markings are a must, preferably using both metric units and inches. Digital read outs will always be the easiest to use, though they’re not essential. A digital display will save you time, in that you can check the settings with absolute precision at a glance. Being able to cut various threads can be important to some. In which case, look for a machine with the greatest variation of threads, both TPI and metric – you never what type of thread you’ll need. A reverse switch to cut reverse threads can also be helpful. When deciding on a milling machine that can handle the size pieces you want to machine, there are a few very important specifications to consider. The travel distances and distance between centers all determine what size workpieces your milling machine can accommodate. Armed with this information, you should now be in the perfect position to buy the best milling machine for your home shop. Once you’ve taken this initial step, you should enjoy many satisfying hours machining anything that your heart desires. It’s an investment that will bring you joy for years to come. Once you start getting to know your milling machine, and familiarize yourself with the wide selection of milling tool bits available to you, the sky’s the limit.